Learning is meant to be an ever present life long process. Life experiences, perception, behavior and specific habit patterns can enhance, block or limit our ability to profit from particular learning opportunities. Opportunities are created. We each have the power to bring ourselves to a state of greater harmony, greater readiness and greater understanding. Potential can be nurtured. The realms of potential are many. Although there are hundreds of locations of focused or concentrated energy within our body, there are however, seven specific energy centers referred to as chakras. The chakras are spinning vortexes of energy. When these energy centers are open and balanced, we more readily realize our potential for health, learning and creativity. Each energy center has its own element, vibrational quality, pattern of energy and is associated with particular aspects of intelligence, perception and cognition. To enhance learning one must necessarily enhance the flow of energy through each of these centers. Energy is influenced by all we experience, physically, emotionally and spiritually. An imbalance of energies and stress are known to adversely effect one's well being as well as one's ability to focus, and meet the challenges of learning. Learning is an experience that taps into our physical, emotional and spiritual being. APOGEE Acu-Tone™ employs a system of evaluation that allows the recipient to gain personal knowledge and feedback. The Acu-Tone™ session applies the tuning fork vibration to those energy channels and points that have been identified in the evaluation process. The sound is purely acoustic with a note range, of C - D - E - F - G - A - B. APOGEE Acu-Tone™ was first conceived several years before its public presentation. Over a decade of experimentation and research was in place before its public introduction in 1983, as a sound healing and energy balancing system. 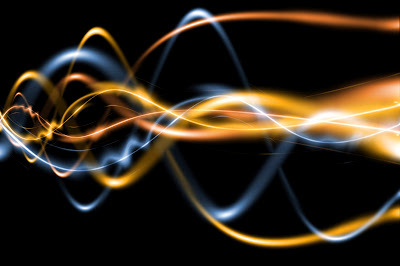 Sound has been used as a healing force for thousands of years. All ancient civilizations used sound for healing. Traditional cultures still surviving today understand the remarkable healing power that lies in sound. Sound healing is the therapeutic application of sound frequencies to the body/mind of a person with the intention of bringing them into a state of harmony and health. The dictionary defines ‘harmony’ as ‘congruity of parts to their whole or to one another’. ‘Health’ is defined as ‘the state of being bodily and mentally vigorous and free of disease’. Dr Alfred Tomatis (1920–2001) the French ear, nose and throat specialist, devoted over 50 years to understanding the ear and its function. He held that the ear is the most important of all our sense organs. The ear controls the body’s sense of balance, rhythm and movement and is the conductor of the entire nervous system. In an APOGEE Acu-Tone™ session, sound vibration, via tuning forks are applied to specific points on and around the ear. Through the medulla, the auditory nerve connects with all the muscles of the body. Hence, muscle tone, equilibrium, flexibility and vision are affected by sound. Through the vagus nerve, the inner ear connects with the larynx, heart, lungs, stomach, liver, bladder, kidneys, small intestine and large intestine. Every organ, bone, and cell in the body has its own resonant frequency. Together they make up a composite frequency like the instruments of an orchestra. When one organ in the body is out of tune it will affect the whole body. The benefits, the integrity and the safety of this sounding modality have been documented from its introduction and development since 1983. All inquiries are welcomed and will be responded to. As with a a piano, or any fine instrument, one's body can be tuned to a state of accord and balance. Applying the vibrations of tuning forks brings about changes in the body’s biochemistry, bringing the nervous system, muscle tone and organs into harmonic balance. The body is brought to a deep state of relaxation and feelings of well being. Call for your FREE Introductory Consultation. Rose Marie Raccioppi, MS, FABI, is an award winning and honored master educator, an innovative and pioneering sound therapist, poet laureate, artist, advocate, activist, holding graduate degrees with honors in education and psychology. Her published book of poetry, "The Wind and the Willow," has been well received nationally and internationally. Pub. Date: June 2008, ISBN-13:9781604744545. She has received organizational, local, state and national honors for her exemplary services to children and families with special educational needs, and for her innovative development in the healing arts. She has been internationally recognized for her inspired poetry and art. She is presently designated, Poet Laureate, Orangetown, New York. Rose Marie is an active blogger, ever ready to share and expand what supports development, potential, well being, creativity and artistry. Rose Marie has been in private practice since 1983 as an educational consultant and sound therapist: http://www.apogeelearning.com Indeed LIFE with PURPOSE.